October 17th 3033, 208048 Dagonet. 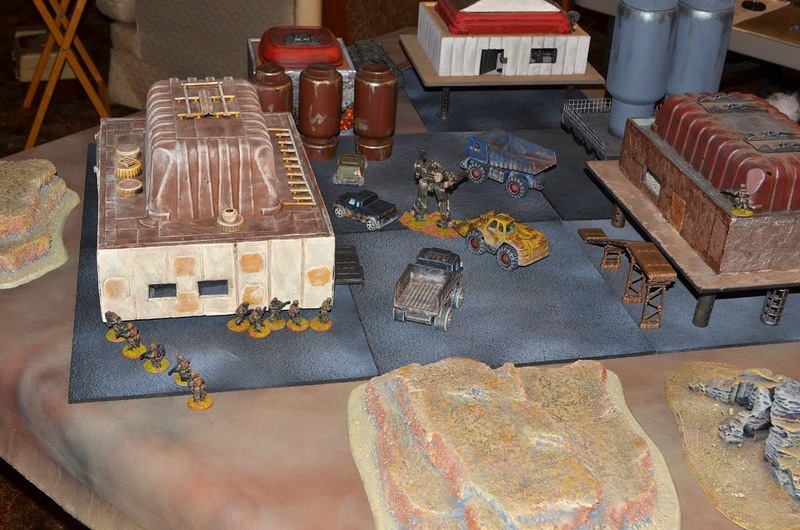 The Star Guard mercenary company raided the Martian mining operation on 208048 Dagonet with a small raiding force. The Martians responded with a defense force of their own. 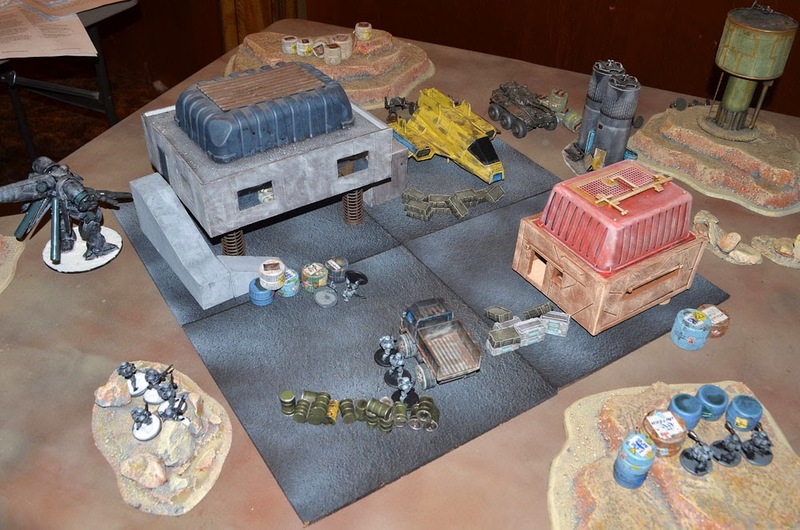 The mercenary 6x6 Rapid Assault Vehicle proved very effective taking out a Martian battlesuit early in the fight. 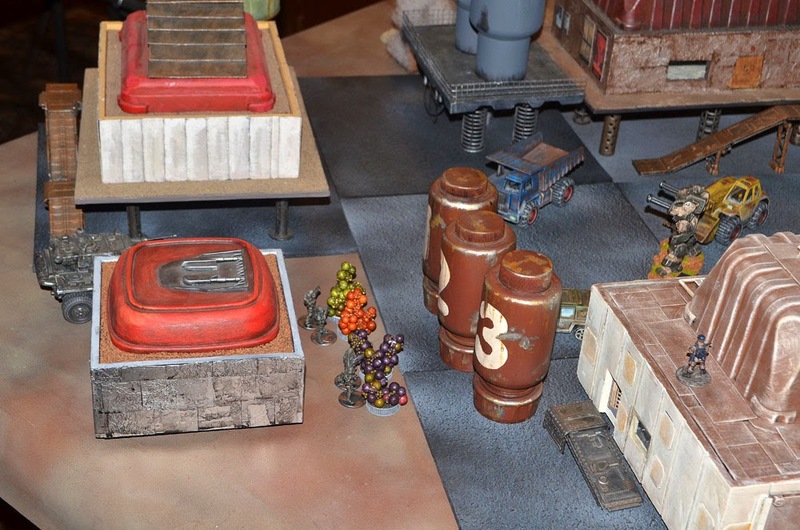 The Martian forces advanced on the Star Guard who had taken up positions in some of the outpost buildings. 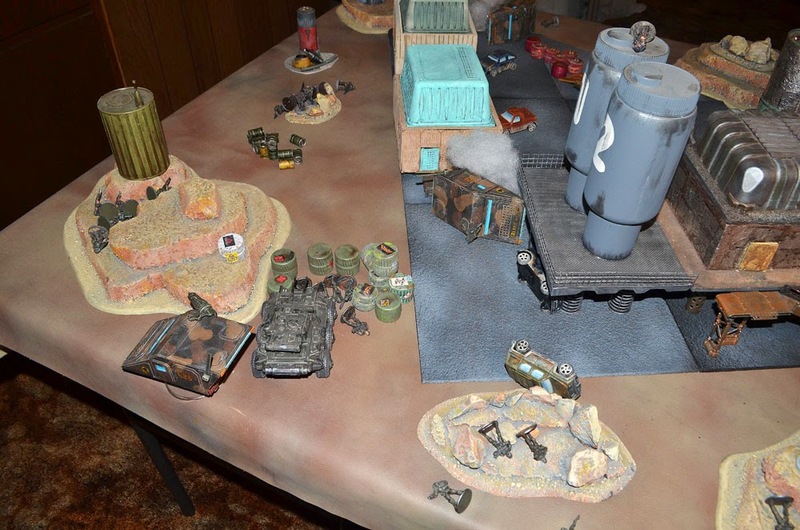 The mercenary tank charged the Martian battlesuit but this time the light tank got the worst of the exchange and was destroyed. 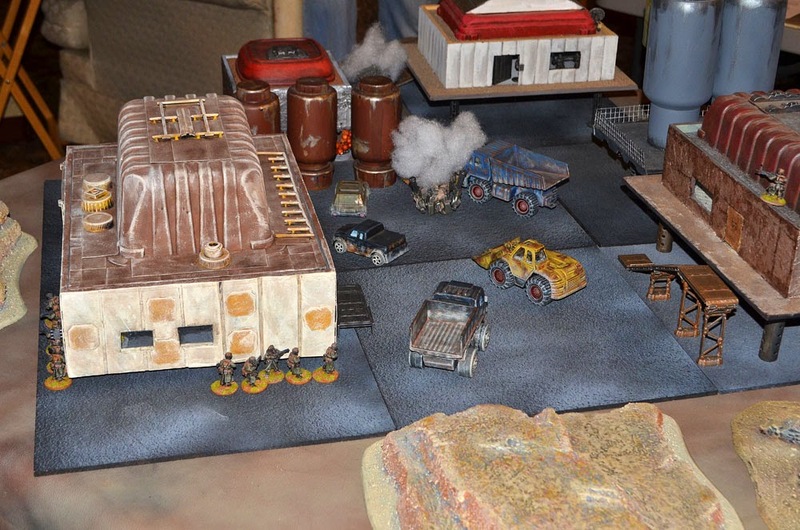 The Star Guard regulars inside the platformed building responded by destroying the second Martian battlesuit. Just at the end of the battle the Martian commander was killed and the Martians withdrew giving the Star Guard a narrow victory. Unfortunately for the mercenaries they were only able to recover about 8,000 credits worth or resources. October 18th 3033, 208020 Gaheris. 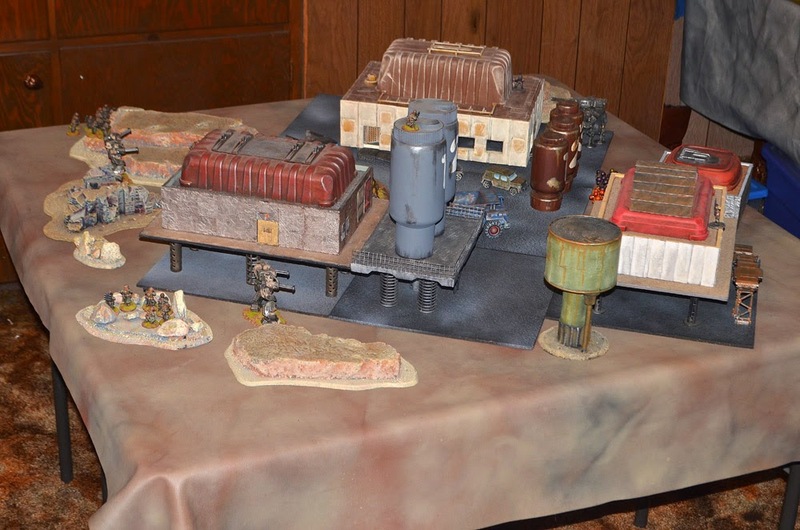 The Star Guard raided a Jovian outpost on 208020 Gaheris that was defended by members of the Jovian Grau Legion. 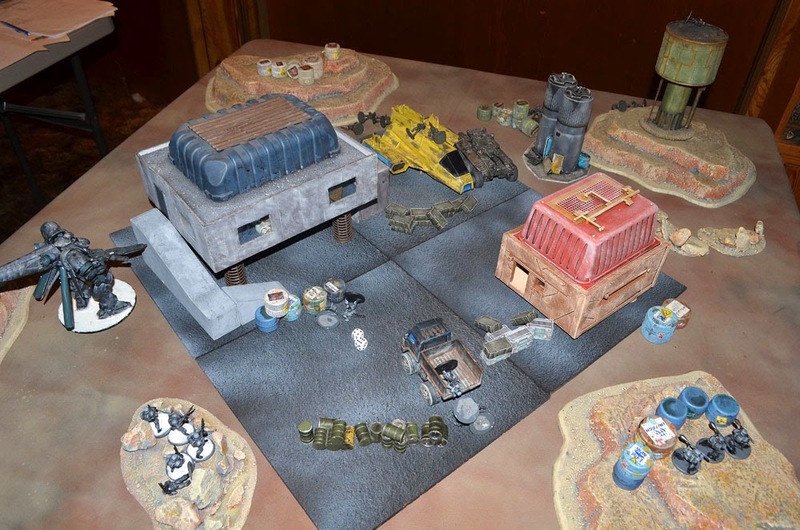 The Star Guard light tank charged in and killed a single Legionnaire while the Jovian Hunter Mech killed a mercenary sniper. The Jovian mech continued to cause the mercenaries trouble killing several Star Guard infantry troopers. Despite taking heavy casualties the mercenaries continued to fight but could not advance across the open ground. 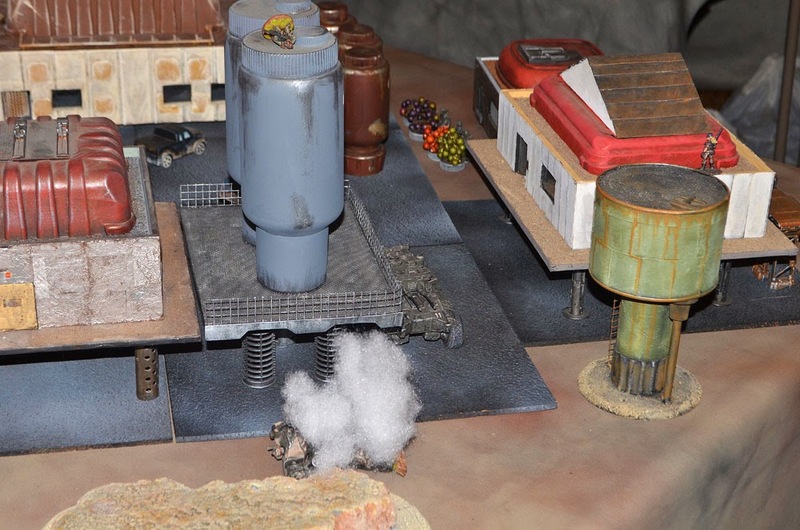 The mercenary tank managed to kill a few more Jovians from range as they tried to take cover in a civilian vehicle. Unfortunately the Star Guard lost another squad to the Hunter mech and were forced to withdraw giving the Jovians a solid victory and netting them 9,000 credits in salvage. October 19th 3033, 208079 Blanche Fleur. 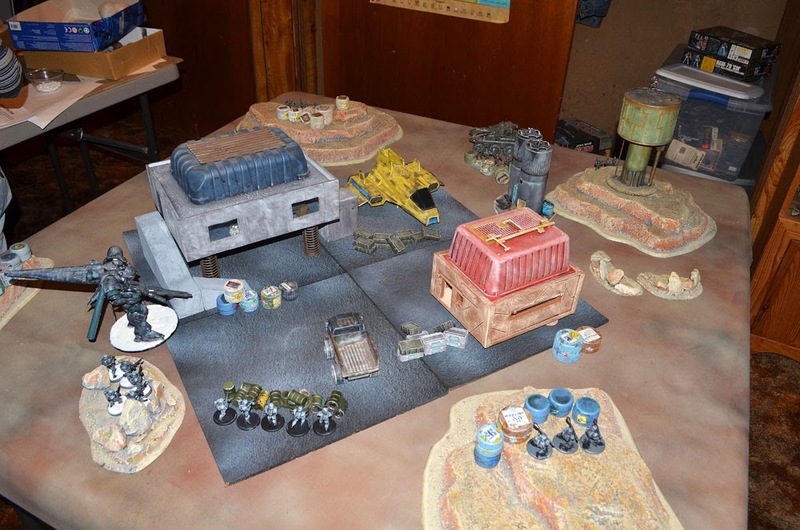 The Star Guard raided a mining operation defended by the Hell Knight mercenary company on 208079 Blanche Fleur. 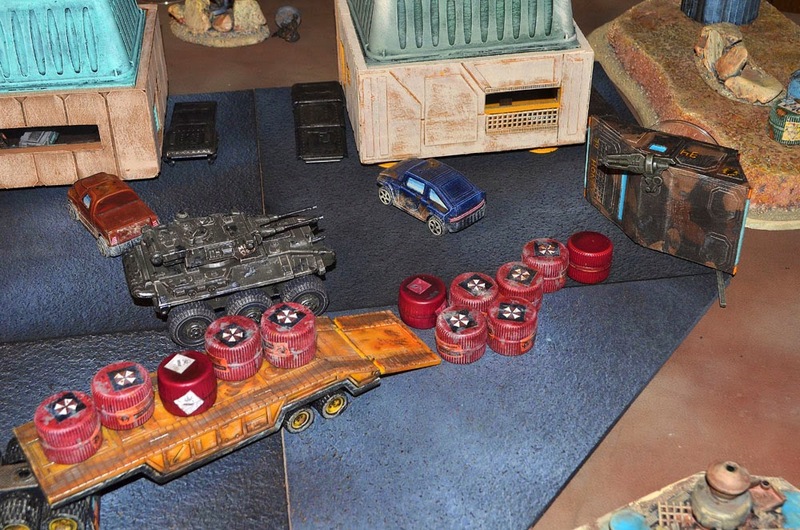 The Star Guard light tank advanced rapidly destroying a Hell Knight transport and killing a heavy trooper. The Hell Knights advanced aggressively against the Star Guard's left flank with two transports and infantry. 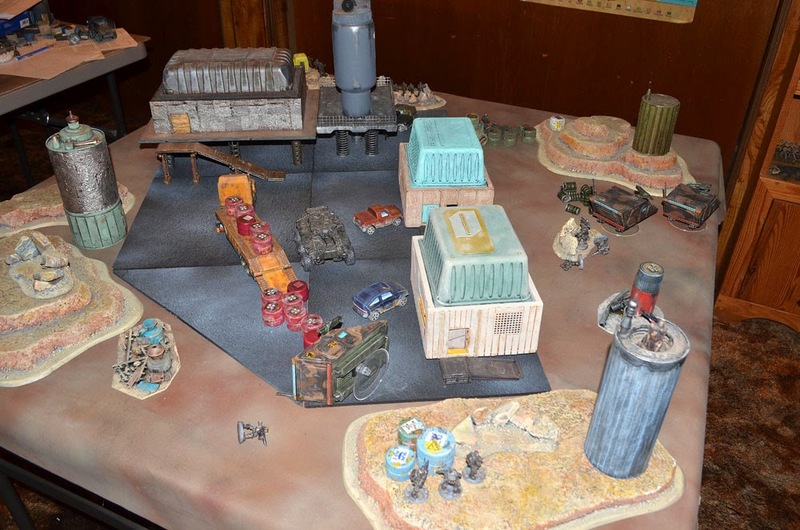 The Knights managed to kill an entire squad of Star Guard and cause a casualty in each of the other squads but the Guard's light tank took out another Hell Knight transport. The Hell Knight heavy troopers fought from a rocky outcropping killing a Star Guard sniper and medic while their transport destroyed one squad and broke another. 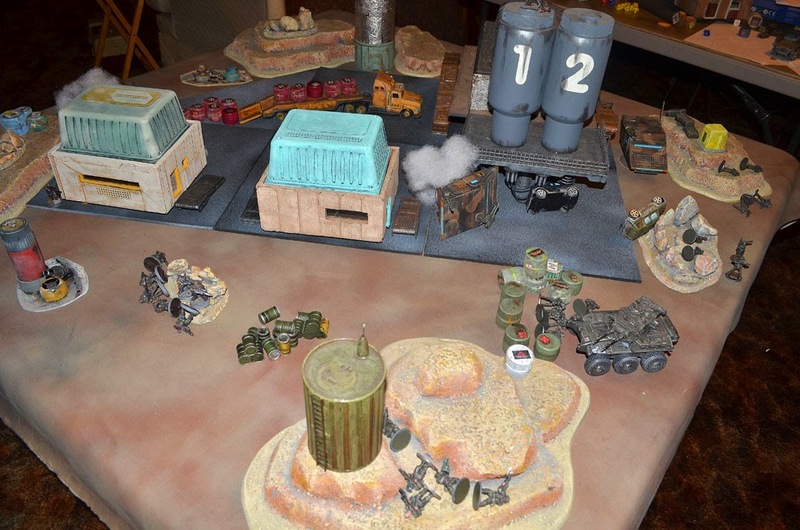 The Guard's light tank destroyed the Hell Knight regular squad on the hill in response. The Star Guard won the fight but were only able to recover 9,000 credits worth of resources. Unfortunately they lost over 15,000 credits worth of troops and equipment and between that and their transport cost they actually lost money. The map movements were interesting. 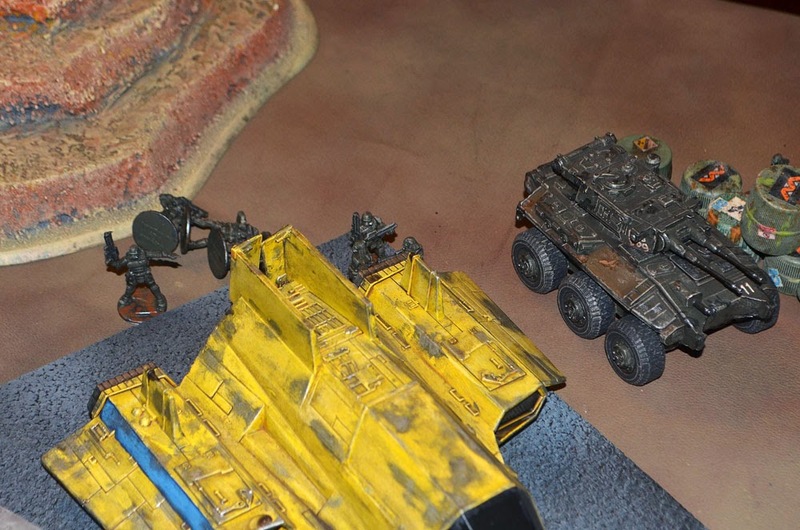 Despite having the most resources due to a very good round of rolling resources the Star Guards only purchased four strike forces and four mobile mining operations. The Jovians purchased twenty strike forces and six mobile mining operations leaving them nearly broke. 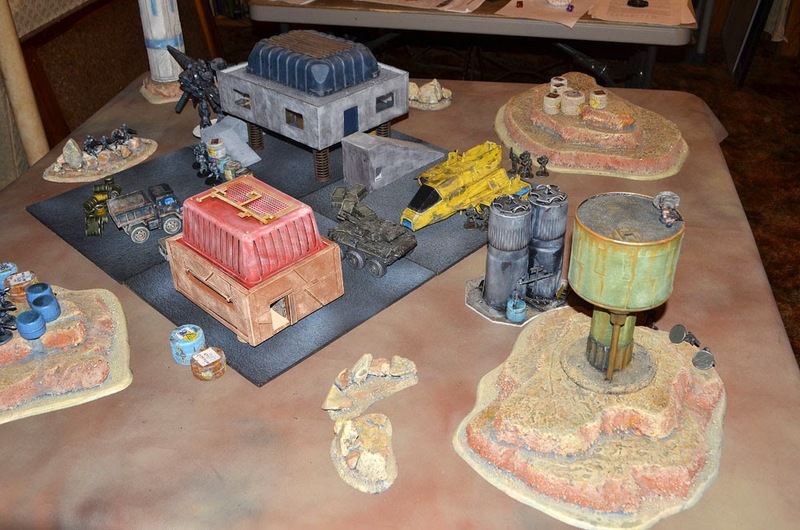 The Martians purchased five strike forces and a mining operation. 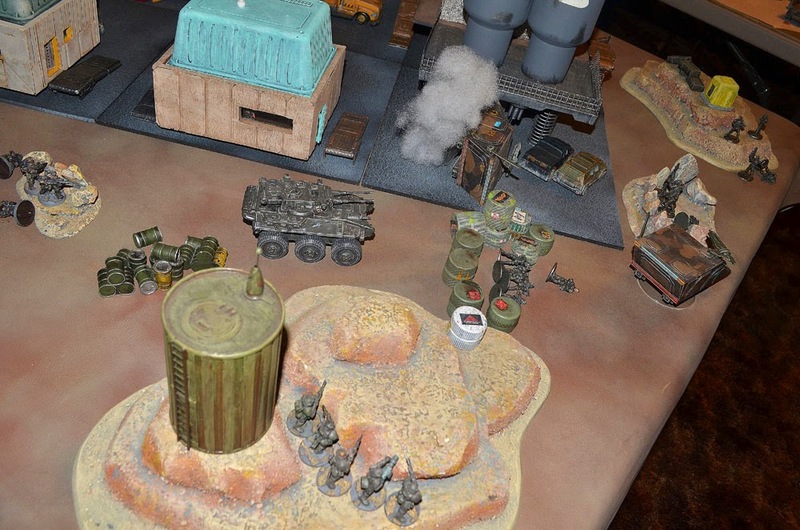 The Hell Knights purchased four strike forces and two mobile mining operations. The Hell Knights again raided Tor. The Hell Knights and Jovians both made a move for 207829 Elaine. 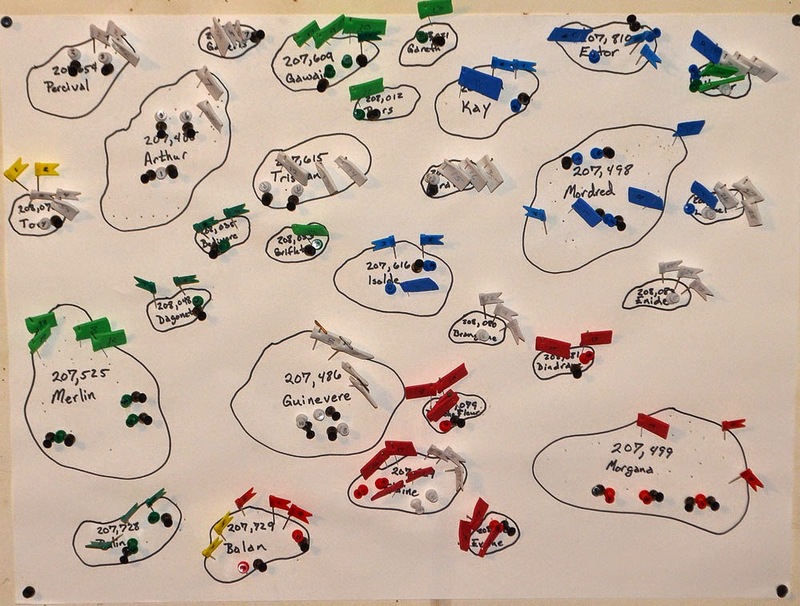 The Jovians, Martians, and Star Guard all made a move on 208058 Hector. The Star Guard and the Jovians also both made a move on 208063 Lionel. The Jovians took; 208080 Brangaine, and 208083 Enide unopposed.